Purple Martins are North Americas largest swallow and are our Passion. 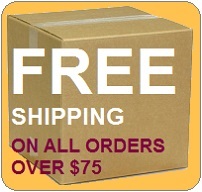 We offer the best selection of purple martin housing, supplies, gifts, and more at the best price. Find a better price? Send us an email with a link and we will beat it! 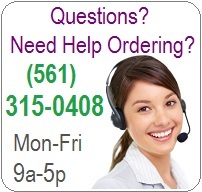 We have everything you need to attract Purple Martins to your backyard and we use these products on our own colony. Scroll down for Categories to shop. 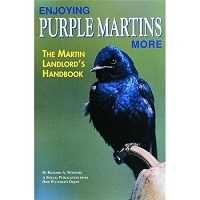 When reading and learning about purple martins, you will come across several terms common to purple martin landlords. By learning these basic purple martin terms you will soon be able to join in the conversations and understand this purple martin lingo. 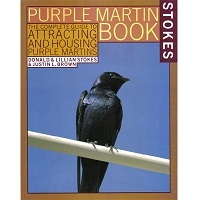 Dawnsong: Purple Martin song used by males to attract female martins to a nest site. HOSP: English House Sparrow (HOuse SParrow) Non Native nest site competitor. EUST: European Starling (EUropean STarling) Non Native nest site competitor. S&S: Starlings and Sparrows. Non Native nest site competitors. TS: Tree Swallows. A native, protected cavity nesting bird. Nestling: Baby bird at any point after hatching till leaving the nest, when it becomes a fledgling. Fledgling: Young bird having become old enough to leave the nest to learn to fly. HY:(Hatch Year) Fledgling Purple Martins that have hatched in the previous 12 months. SY: (Second Year) aka Sub Adult , a purple martin having survived 1 migration. ASY: (After Second Year) adult purple martin having survived at least 2 migrations. Landlord: a person who provides nest compartments for Purple Martins. Colony: A particular nest site locations group of birds. ie: The Martins that nest in your backyard Purple Martin House. SREH: Starling Resistant Entrance Hole of which there are multiple designs. Roost: A selected place where the birds sleep at night. Premigratory Roost: A large communal assembly of birds that can last for several weeks as they prepare for migration. Migration: The bi-annual cyclical movement of birds from an area of breeding to another geographic area. Assembly Site: Place that martins take their young to roost-other than nests, in large numbers.